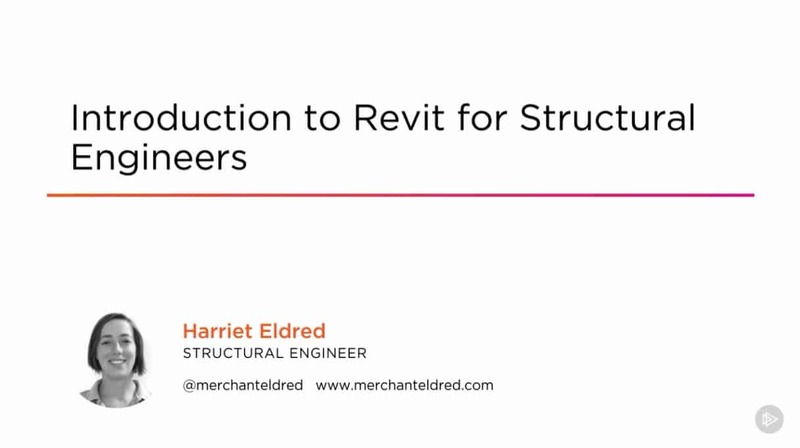 Have you heard of Revit but never had the time or resources to learn how to use it? This course, Introduction to Revit for Structural Engineers, will bring you up to speed and help you to create better buildings. First, you will learn how to model simple structural elements and more real-life complex examples. Next, you will discover how to use Revit as a Building Information Modeling tool. Finally, you will learn about design options and you will learn to present clear, clean, crisp drawing sets that you can be proud of. When you’re finished with this course, you’ll not only have modeled a sports stadium, but you will also have the skills to model real-life projects in your office. Software required: Autodesk Revit (2017 preferred).